Dr. Marty Becker DVM, a contributor to the Today Show, had a great article on senior dogs. We pass Marty’s article along to our readers. We’ve all heard the adage that old dogs can’t learn new tricks, but that doesn’t mean their owners can’t benefit from studying up on some fresh tips as their pets advance in years. At age 7, a dog starts to be considered a “senior,” and it’s important for owners to know how to improve their dog’s well-being and cognitive health in their later years through specialized care and nutrition. 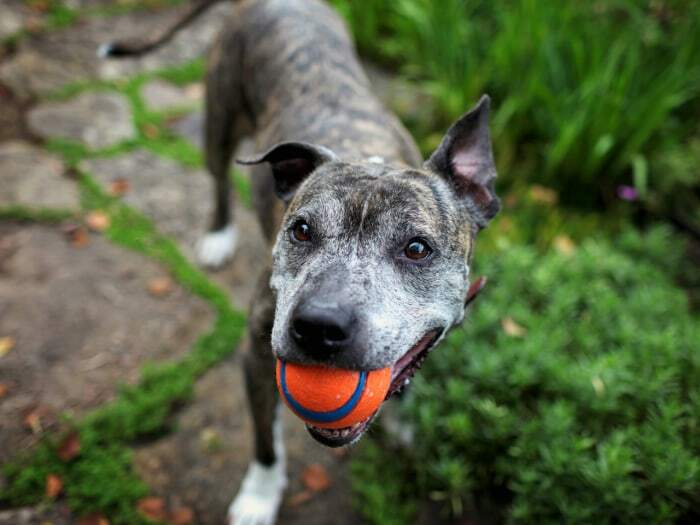 If you have decided to adopt a senior dog or currently own one, these seven tips will help you hold back the march of time and make them feel safe, comfortable and as pain-free as possible as they age. 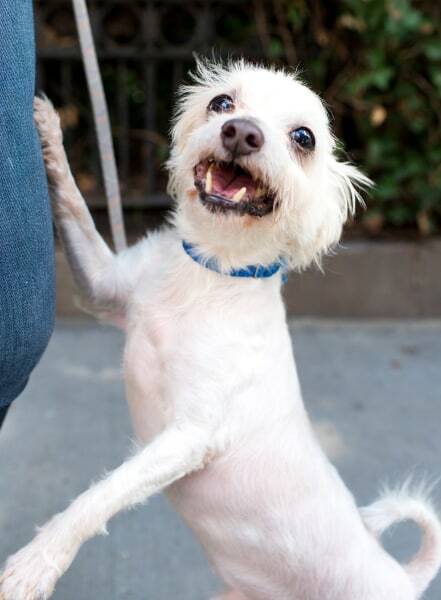 8-year-old Maltese mix, Waldie wants you to know that age is just a number! 1. Age is just a number. Similar to humans, if you don’t allow your pets to get overweight or obese and if you keep them active, they can look and act much younger than their true age would suggest. I’ve seen this with my own 15-year-old golden retriever, Shakira, who still loves to fetch her tennis ball daily — in the sun or in the snow — despite being blind and deaf. 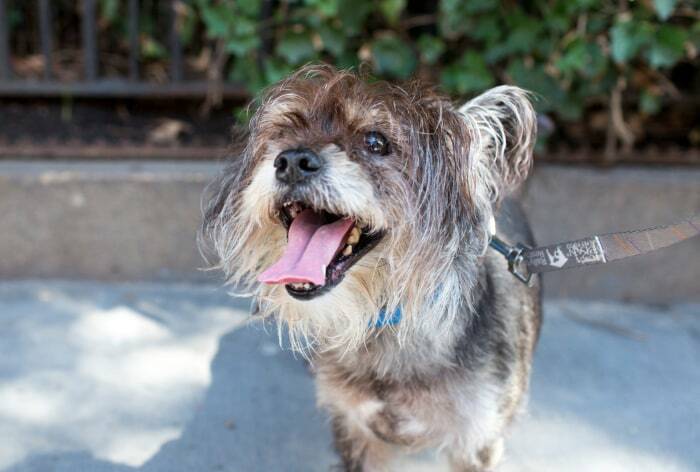 Quince, an 8-year-old Cairn Terrier mix says: Don’t assume changes or problems are due just to age. 2. Don’t assume changes or problems are due just to age. Hundreds of times over my 35-year career as a veterinarian, I’ve had pet owners attribute a decrease in appetite, thirst or activity, changes in personality or bathroom habits, hair loss, weight shifting up or down, or even obvious pain to “just old age.” Warning to all dog owners: if you see any changes in a senior pet, never assume it’s not a medical problem. The culprit may be metabolic problems like diabetes, hyper- or hypothyroidism, or Cushing’s or Addison’s disease, as well as canine brain aging, arthritis, dental disease and other conditions mistaken for “just old age” that, once diagnosed and treated, can return a dog to normal life! 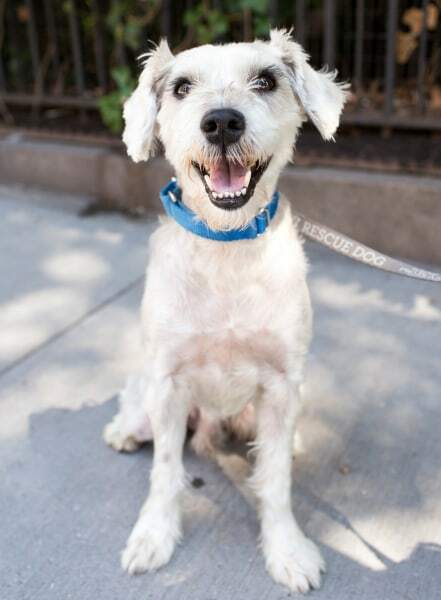 9-year-old Schnauzer mix Mortie knows that diet changes can bring dramatic results. 3. Diet changes can bring dramatic results. Ask your veterinarian or pet health professional about specialized diets that help senior dogs with their cognitive health and activity levels. This is important because at age 7, the glucose metabolism in a dog’s brain begins to change in ways that can affect memory, learning, awareness or decision making. Tip 4: Old dogs love to learn new tricks. 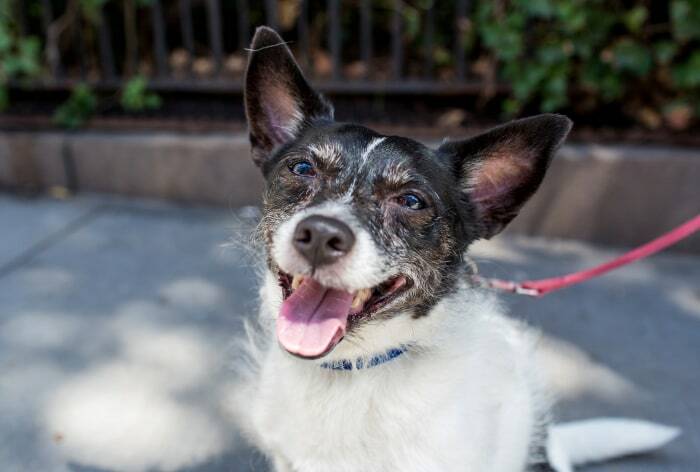 11-year-old Mitchell is a terrier mix who is ready to show you his tricks for treats. 4. Old dogs love to learn new tricks. Dogs love to learn at all ages, and it’s especially important to keep older dogs engaged in learning to fight boredom and help to decrease brain aging (just like in humans). Try feeding dogs with food-dispensing devices (put kibble in these and the pet has to work to eat), and remember to have dogs run through their repertoire of tricks to keep their minds sharp. We just bought a new, more difficult food puzzle for our 12-year-old, 15-pound dog Quixote, and it only took him about five days to crack the code. 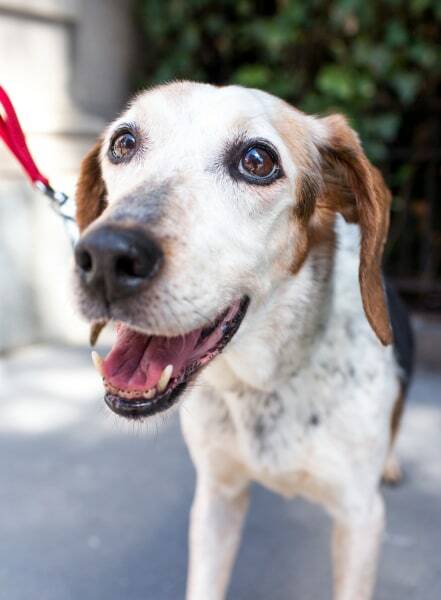 Semi-senior Shamrock is seven years old and knows that pet buddies can work wonders. 5. Pet buddies can work wonders. Getting a new friend for your older pet can add years to her life, and life to her years! Dogs are pack animals — they love to play and sniff, groom and sleep near each other. Research has shown that pets with buddies live longer and have fewer medical problems. We recently adopted a new puppy from the shelter. QT (read “Cutie”) is a Dachuahua — that’s a Dachshund and Chihuahua cross — and he’s about half a dog tall and two dogs long. Full of energy, he’s got our older dogs playing chase. Meet Inkie! 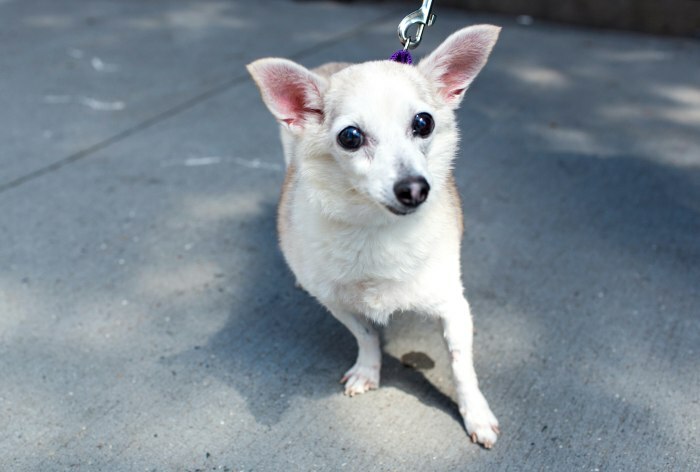 A 12-year-old Chihuahua mix who likes the simple life. 6. Easy does it. As pets age, their eyesight and hearing declines, they are less sure on their feet, and they have less fat for padding and can easily get chilled. You can make them feel safe, secure and comfortable by putting carpet runners around the house for them to walk on, having stairs or ramps to access furniture beds or vehicles, and providing padded orthopedic beds with a heat source. Also, it’s a good idea to add a second source of water so that pets don’t have to go too far to hydrate. Tip 7: Pamper your pooch. Gogarty couldn’t agree more! He and his brother, previously pictured Mitchell, are looking for love and have plenty to give. 7. Pamper your pooch. This is the age where TLC can go a long way. Heat up your senior dog’s food to release aroma and make it tastier. Learn pet massage and rub their bellies like you’re making wish after wish after wish. Use slings to help them rise and walk. Take them to the groomers for a nice warm bath and hot oil treatment. My wife, Teresa, recently learned dog massage so that she can pamper our pets even more. Dr. Marty Becker is a veterinarian, author and TV personality who serves on the board of directors of the American Humane Association and on the advisory board of The Grey Muzzle Organization, which is dedicated to helping homeless senior dogs. 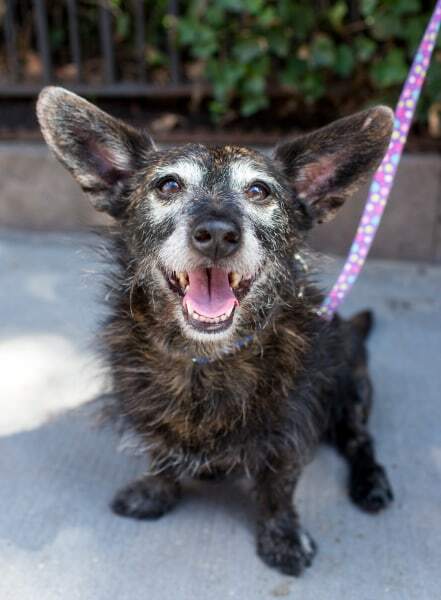 All of the senior dogs pictured in this article are up for adoption through Animal Haven of New York City. A Los Angeles animal photographer is on a mission: To change people’s perceptions of older dogs and help more gray-muzzled pooches find loving homes. See images from her “My Old Dog” project here.